Appetizer Bugs | The fun food to have with your drinks. 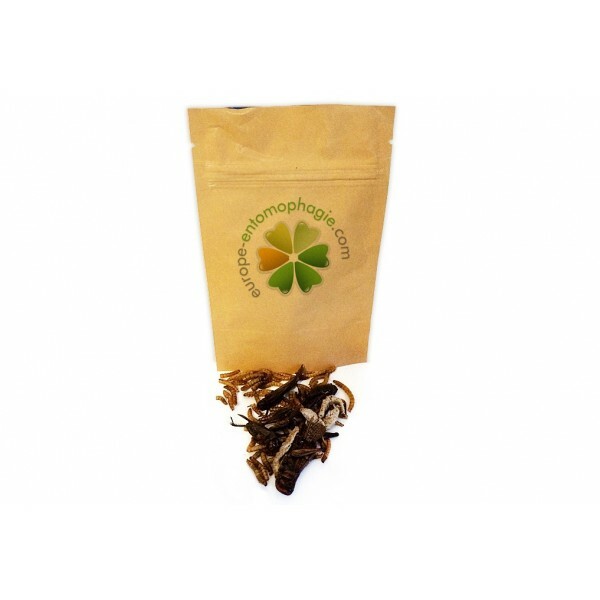 Appetizer Bugs are composed of 5 different species of edible insects for you to discover the different flavors of entomophagy. 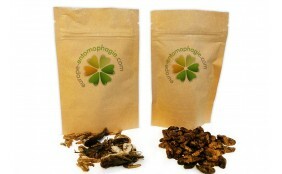 This package contains about thirty insects (silkworms, bamboo worms, grasshoppers, crickets and beetles) from Thailand. They were boiled and dried before packaging. The shelf life is 8 months in dry, away from light conditions. 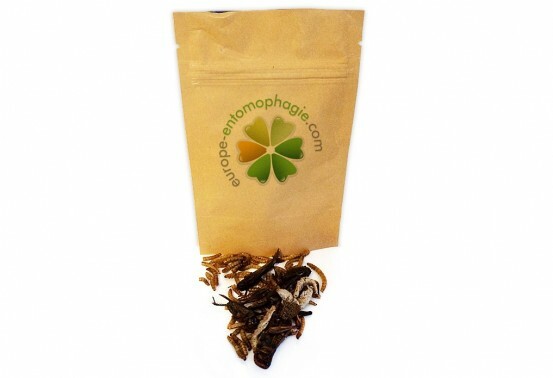 The Appetizer Bugs format is great to discover entomophagy smoothly. With so many species in one pack, you'll be able to try kind of natural flavors and decide what are your favorite edible insects. 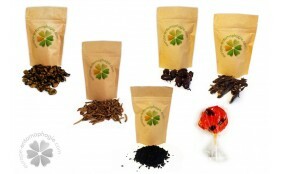 Aperitif Mix contains 5 kinds of edible insects silkworms, bamboo worms, beetles, grasshoppers and crickets. 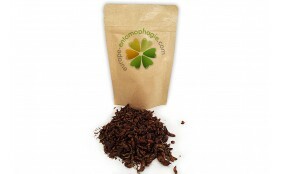 For example, crickets are known to have a nutty taste, while silkworms taste for some like smoked bacon. All these bugs were prepared as follows: they were first boiled and then dehydrated by a long baking process. After opening the package, you will just enjoy them directly in peace. Insects are now served as an appetizer! 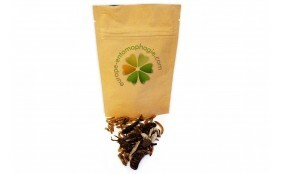 Edible insects make an excellent source of nutrients, including protein, vitamins (B , B2) and minerals (iron, zinc, calcium). You will be surprised to learn that contain more protein than poultry, eggs and even red meat. They are also low in saturated fats. 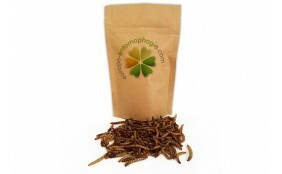 This is why edible insects are a credible alternative food according to the United Nations. In addition, their growth is much more advantageous than traditional farming. Indeed , insects reproduce at a much faster pace than mammals and their growth rate requires fewer resources Breeding of edible insects pollute also muche less than traditional breeding. Worldwide, there are over 1400 species of insects consumable by humans, which provides a wide variety of tastes and shapes. 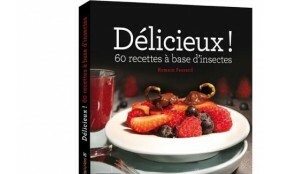 Thanks to the Appetizer Bugs, you'll get to know at once a wide range of edible insects. This will be the time to decide which one is your favorite. Choose now a safer food source, with innovative and inimitable tastes. The true food fo the future. 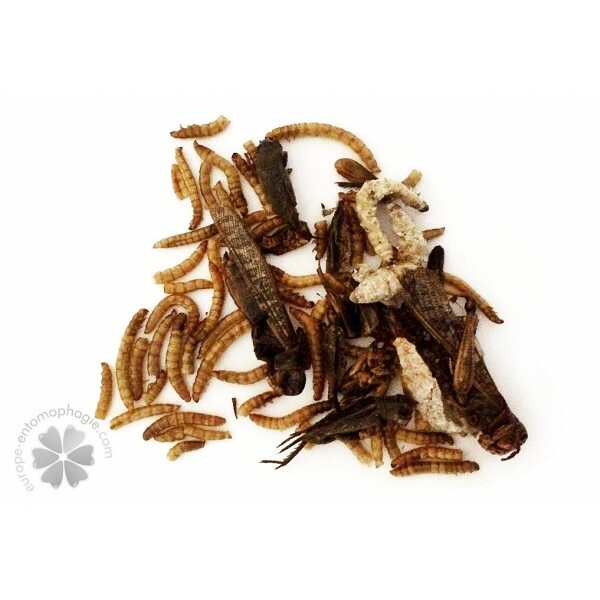 Appetizer Bugs is a great way to star entomophagy and decice whether or not you want to be part of the next food revolution. Livraison rapide et sensation de saveurs imparables. Le mix apéro, vous êtes sûrs de faire sensation avec. Satisfait du temps de livraison,mix apéro c'était rigolo!! J'ai commandé ce sachet pour les fetes et j'en suis très content. Je l'ai recu en trois jours !